Picture this: a relaxed, laid back 10th wedding anniversary in rural Worcestershire. A village hall with a difference – solar powered to reduce its’ carbon footprint. A good time with friends remembering Simon and Annas’ wedding. What’s not to like? 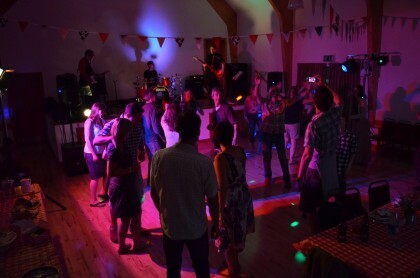 Add some great sounding music into the mix, performed by non other than Hard to Handle – a professional function band with a fearsome reputation for entertaining guests and keeping them on the dance floor, and you have the perfect party. Call us direct on 0796 433 5657 for more information!